10-31-14 Happy Halloween!!! Today’s Tarot is the Three of Water. It is a day for letting your hair down and being whoever or whatever you want to be. Have fun with a “new identity” for a while. 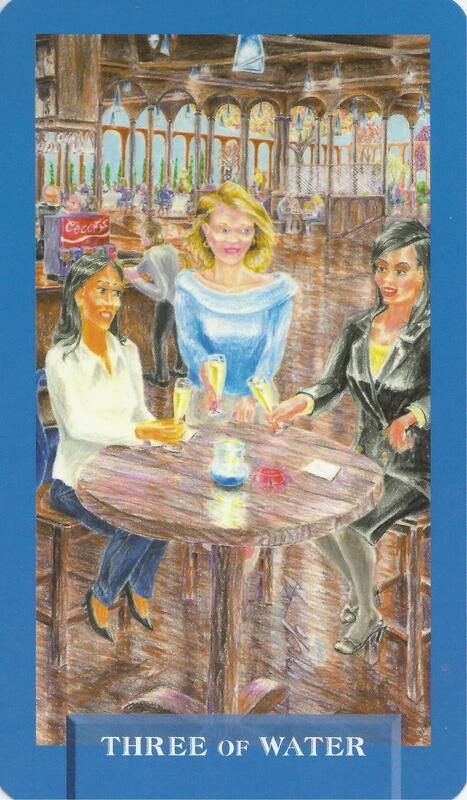 This card is about friendship and celebration.